Levitation festival is celebrating its ninth anniversary in 2016 and what a year it’s going to be! The Carson Creek Ranch in Austin will be packed from April 29 to May 1 with memorable performances from Brian Wilson, who is set to celebrate the 50th anniversary of The Beach Boys’ classic album Pet Sounds by performing it in its entirety, Ween, The Brian Jonestown Massacre, Animal Collective, and festival co-founders The Black Angels. 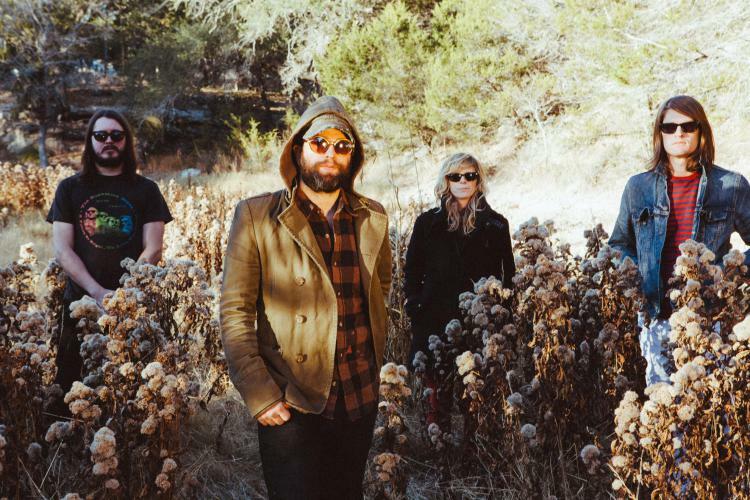 In our new interview, The Black Angels’ Alex Maas details the evolution of the festival, curator headaches, the artists that got away, and more. This year marks nine years of Levitation festival, which all sprung from your original Austin Psych Festival. What are you most excited about this year in particular? These festivals showcase musicians from all through the past five decades to today. Do you see any similarities in the acts that have come and gone over the years, do you think that the artists of the past have had much influence on the ones who are playing for their first time this year? Absolutely. I think most of the people who play at Levitation have these older records in their catalogue, if they’re record collectors. Some of the bands we’ve had, like Bombino and Tomorrow, I doubt they listened to The 13th Floor Elevators, but they were definitely listening to Jimi Hendrix and stuff like that for sure. I definitely think there’s a connection to those musicians and the ones that are playing here. You said when you created the festival, you guys didn’t want a heavy metal festival and you didn’t want a country festival. What made you go in the direction that you did and do you still play a part in choosing the line up? I appreciate that you guys did that, it’s cool because a lot of festivals around here grow and expand into different genres, but they’ll still keep their original name. I like that you guys didn’t keep that, so you could stay true to having different genres and not labeling it all Psychedelic fest. Yeah, and you know, the other thing with that is there were a bunch of people doing psychedelic festivals all over the place. All of the sudden, we looked up and there were a bunch of people with psych fests in Portland, or LA, or London, or whatever and we just wanted to make ourselves different from those other ones. A couple of them got a bad wrap. There’s one that happened I think in Berlin, where the guy didn’t pay the bands or something and he had a similar name to somebody in our group. People were confusing the two, so we were just like, “look, we’re just going to call it Levitation.” There was a lot of reasons that we changed it, but that was another reason. Are there any bands that you’ve wanted to feature over the years, but haven’t gotten the chance to? Yeah, Portishead, Massive Attack. I thought it would be great to have Beck play Mellow Gold. We always talked about David Bowie, John Cale, we talked about Lou Reed before he died. We thought it would be cool to do a Lou Reed and John Cale reunion. There are tons of bands that are on our master list, but that’s a few of them. I always thought it’d be cool to have Tricky play too. A lot of the more trip-pop stuff I really wanted to integrate, because that to me, is really psychedelic and weird (laughs) and is something that really influenced me as a musician. What were your influences and inspirations outside of other festivals around the world to create this festival? There was All Tomorrow’s Parties, that was a pretty big one, and that was really cool because they were getting a lot of bands that we really liked, and you look at their lineups and they’re all good. Anything from Nick Cave to Cara Booth, then they would dip into old blues musicians like Pinetop Perkins, which is kind of interesting too. It’s a really good, well curated festival. That was a big one for us that we looked at and were like, “man, they’re doing something really cool,” and they were doing it in a bunch of different places, which is difficult to do as a festival. From the festival perspective, it’s hard to bounce around and do festivals in a bunch of different locations. You need some kind of ground zero, where everything happens. So even though we do some festivals in other cities, Levitation [Texas] is still the home base. Your music is that of the theme of the festival. What were your musical inspirations when you formed together as a band? Definitely The Velvet Underground was a pretty big one, The Elevators was another one, but Brian Jamestown Massacre, Raveonettes, The Warlocks, some darker, more modern dance. Joy Division. I grew up in Houston, so I grew up listening to everything from old country, to DJ Screw, to old 60’s rock and roll, so it’s all over the place for me and Christian [Bland]. We all grew up in Houston, me, Christian, and Stephanie [Bailey].